This Sunday evening, The Collective presents The Artist's Responsibility: Black Creators and Their Communities, a forum exploring the myriad ways racial identity does and does not inform the work created by artists of color. The event is free, open to the public and will feature Ekundayo Bandele, Lester Merriweather, Lawrence Matthews III, Earle Fisher, Kenneth Worles and Brittney Bullock on the panel. 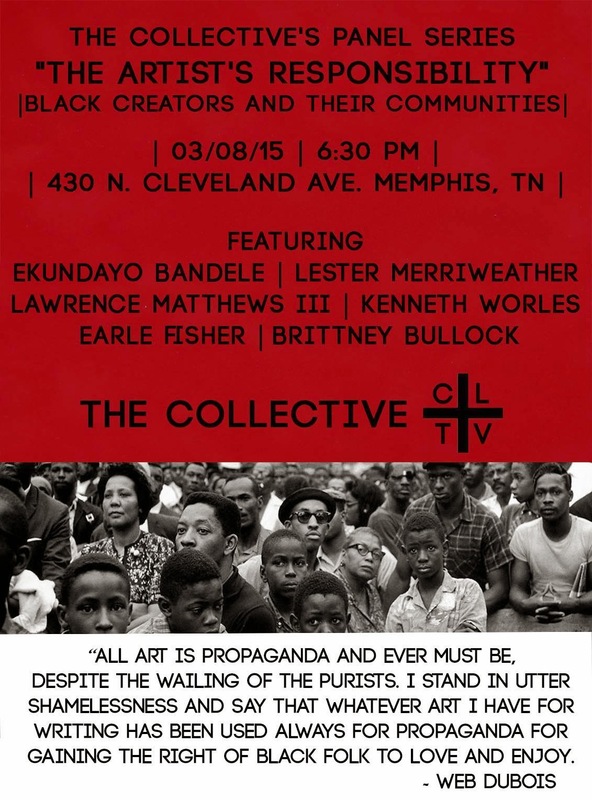 The conversation begins at 6:30 pm in 430 N. Cleveland. To learn more about The Collective and stay up to date with their news and events, follow them on Tumblr athttp://thecltv.tumblr.com/ or Instagram @thecltv.